For decades, the youth of Abu Bhakkar Saddiq's village, Miya Gaun, Kaski, have been going to foreign countries, seeking employment. When Saddiq turned 18, he too, as had become customary, headed abroad--to Doha, Qatar. There, he worked as a waiter for a little over four years. After that stint, he made his way to Mecca, Saudi Arabia. His monthly salary in Saudi Arabia was 2,400 Riyal (equivalent to Rs 66,500). Every month, Saddiq, the sole breadwinner in his family, sent back home Rs 15,000 to 20,000. That money helped put food on the table for his family, pay his children's school fees and foot his ageing parents' medical bills. 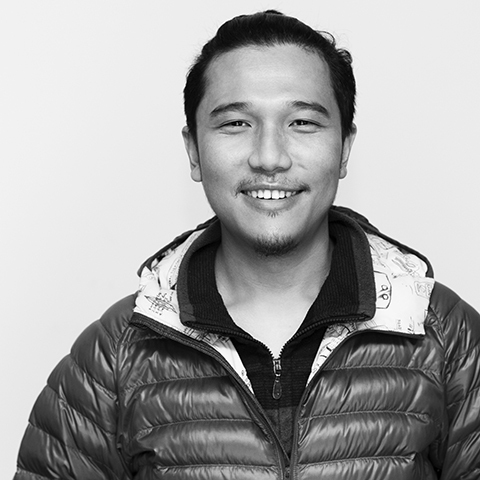 Today, there are more than a million Nepali migrant workers like Saddiq, toiling in countries all around the world-from India to Israel-remitting home their hard-earned money. The savings that migrant workers remit home plays a crucial role in Nepal's economy. In 2016, the country's remittance inflow from migrant workers amounted to an estimated USD 6.6 billion, making up 31.3 per cent of the nation's GDP that year. For a country whose manufacturing sector has been moribund for years, foreign employment opportunity has not only brought in much-needed cash into the economy, but has also helped alleviate poverty, and helped tamp down the unemployment rate to just 3.20 per cent, as of 2017. And all this has happened even with the government doing little to safeguard Nepali workers abroad or Nepali interests in the remittance market. In 2016, when the Bangladeshi government signed an agreement with the Malaysian government (a major labour-importing country) to supply the latter with 1.5 million labourers, shockwaves spread across labour-exporting countries in South Asia. The government-to-government deal meant that the demand for workers from other countries in Malaysia would eventually decline. 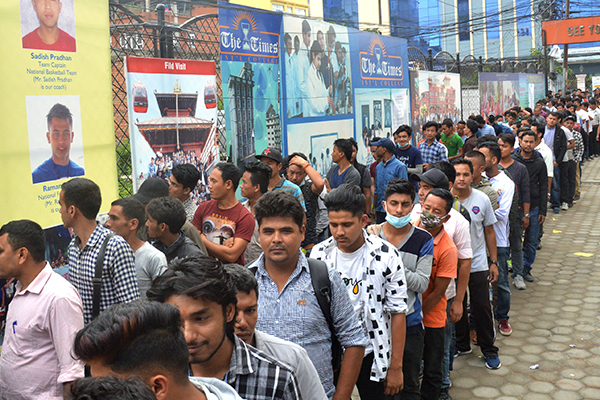 For Nepalis, the deal meant that Malaysia (which has the second largest number of Nepali migrant workers) would not be needing workers in the usual numbers from Nepal. Recently, in Saudi Arabia and Qatar too, the demand for low-skilled Nepali workers has seen a slowdown. According to experts, the current demand for labour in these countries is fuelled by the massive construction projects that are currently underway--to build infrastructure for the 2022 World Cup and Expo 2020. Once these projects are completed, the demand for unskilled workers in these countries will undoubtedly lessen. And this will consequently impact Nepali workers, and ultimately, Nepal's remittance economy. Labour experts say that to preclude that future from transpiring, in which thousands of Nepalis could potentially lose their prospects of jobs abroad, the Ministry of Labour and Employment should first study deeply the changing dynamics in these labour-importing countries. And having done the needed research, the Nepal Government should, say experts, encourage Nepalis to arm themselves with the skills that will be in demand abroad. There are also a lot of wrinkles pertaining to foreign employment that the government needs to first iron out if the country is to continue depending so much on remittance. For example, although the government has mandated that manpower agencies not charge migrant workers more than Rs 10,000 in service fees, many unscrupulous agencies charge much higher fees. Expenses such as this and others force many migrant workers to take out huge loans, often with high interest rates, which mire them in deep debt even before they've reached foreign shores. To be sure, manpower agencies do play an important role in the country's remittance economy. These agencies source jobs and make them available to workers here; but the government needs to do more to regulate this sector. That, however, is easier said than done, since there are more than 1,500 such agencies in Nepal. The Department of Foreign Employment, the government body tasked with regulating the sector, sorely lacks the human and capital resources needed to regulate the sector. Although they monitor some activities, that oversight is usually limited to the agencies in Kathmandu. The majority of foreign-employment recruitment deals is cut in local communities outside the valley, by sub-agents, of whom there are more than 80,000. The number of actually licensed sub-agents in the country comes to around only a few hundred. The problems that Nepali migrant workers face are not just born of the lack of proper government intervention and regulations. After workers finally reach their destinations and start working, many of them are subjected to exploitation and abuse. The workers are often forced to work more hours than was stipulated in their contract; many live in abysmal conditions; and many see their salaries withheld. And yet, the Nepal Government has failed to negotiate for better working conditions for its migrant workers. For a country that depends so heavily on remittance, Nepal doesn't have much leverage when negotiating with labour-sourcing countries. But it can at least lobby for the needed changes, through international platforms like the Colombo Process--a regional consultative process on the management of overseas employment and contractual labour for countries of origins in Asia, of which Nepal is a member. The plight that female migrant workers face is usually even worse. The Nepal Government's response to cases of workplace abuse to do with women has been either to institute an age-criteria or to outrightly ban women workers from seeking employment abroad. However, neither has stemmed their outbound flow, nor made things better for them. These interventions have only forced women migrant workers to use illegal channels to go abroad, making them even more vulnerable to abuse and exploitation. Economies that rely heavily on remittance inflow are vulnerable to external shocks. For Nepal, labour policy changes and economic slowdown in major labour-exporting countries in the Middle East and Southeast Asia are bound to restrict labour movement. 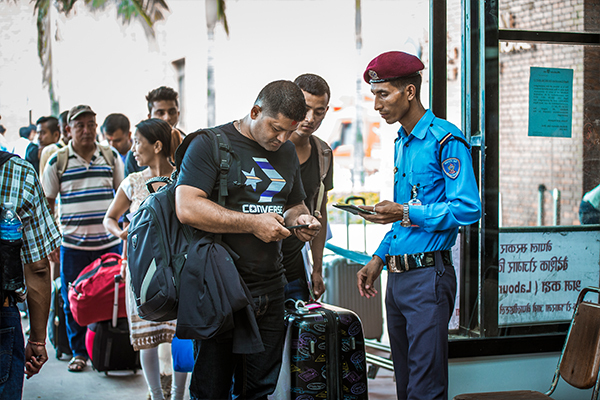 Since 2015, the decreasing demand for labour in the Middle East, plunging oil prices and the diplomatic crisis surrounding Qatar and its neighbours have resulted in fewer Nepali workers heading for the Gulf. And the remittance cash flow, which has (for more than two decades now) helped fuel the countryís economy and helped alleviate poverty here, has been declining over the last three years. Nepal has found itself severely underprepared to deal with this scenario. "Back when remittance inflow was growing year on year, the government didn't think it necessary to focus on strengthening the sector nor on investing in other sectors like export and manufacturing," says Shankar P Sharma, former Vice-Chairman, National Planning Commission. "Today, after years of government indifference, sectors that would have otherwise created employment opportunities for many and brought in foreign currency have dwindled." Nepal's manufacturing sector today contributes only minimally to the national economy, and the country has had to rely overwhelmingly on imports. "Foreign employment has played a significant role in empowering people, especially those from marginalised communities," says noted sociologist Chaitanya Mishra. "For them, these jobs provide the opportunity to rise above poverty and to elevate themselves financially." Remittance money has also played an important role in dismantling some of society's hierarchy. "In villages where once only the so-called "upper castes" owned land, today, there are Dalit landowners," says Raju Paudel, Relationship Manager, IME Ltd. "Remittance has also helped empower women in villages. With most men working abroad, women have started representing the family in their communities." One of the most under-acknowledged aspect of foreign employment is the role it has played in stabilising the country's democracy. "Had it not been for such employment opportunities, the unemployment rate in the country would have shot through the roof. The combination of unemployed youths and political instability would have been a recipe for disaster," says Mishra. But the impacts of foreign employment on society are not all positive. One consequence of workers migrating abroad is fragmented families. "When migrant workers leave the country, many of them leave behind spouses, children and parents. That's the price they are forced to pay," says Mishra. "Cases of depression induced by loneliness are common among migrant workers, especially those who are employed in jobs that isolate them further--for example, in camel rearing in the Middle East. The least our government can do is set up psychological counselling centres at Nepali embassies in labour-importing countries, and in Nepal, for returnee migrant workers." The government needs to recognise and promote other sectors that can help generate employment and help bring in foreign currency. "The country's tourism industry is one sector the government can focus on," says Sharma. ìOne of the major problem points impeding the growth of this industry is our lone international airport, which is always congested, and thus limiting the number of flights. Completing the second international airport should be a priority for the government. Another area the government should focus on is the export channels for the country's export sector. For years, exporters in the country have had to depend heavily on the Kolkata port, which is one of the most inefficient ports in the world, making exporting from Nepal not only time consuming but also very expensive." Attracting Foreign Direct Investment (FDI) should also be another priority for the government. For Nepal, FDIís contribution to the national GDP is almost negligible (0.5 per cent). But even the least developed countries in the world see at least two to three per cent of FDI contribution to their respective GDPs. Like all global markets, the labour market too is changing rapidly and is becoming exceedingly competitive. Labour export is Nepal's biggest export, and remittance is inextricably linked with the country's economy. If the government is to continue to depend on its labour export to fuel its economic growth, then instead of focusing solely on just sending its manpower abroad, the country should also focus on protecting its manpower from exploitation--not just abroad, but also within the country. If Nepal can't provide jobs for youths like Saddiq right here at home, the least the government can do is train them in skills that will earn them more abroad, negotiate better on their behalf and work with foreign governments to ensure that they are treated humanely. One of the main beneficiaries of the foreign-employment boom is the country's money-transfer sector. There are now more than four dozen money-transfer companies operating in the country, and most commercial banks in the country have their own remittance unit. 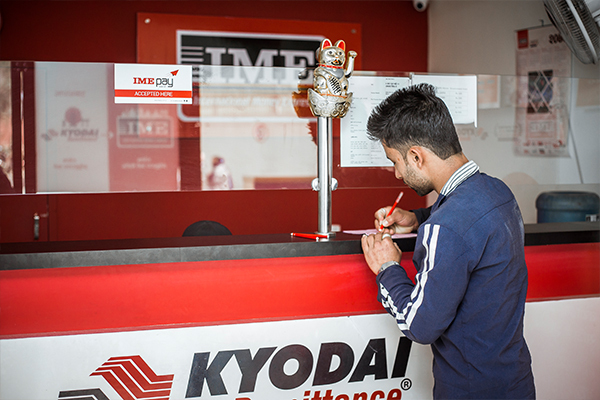 "Remittance-transfer companies have played an important role in making it possible for migrant workers to send money back home legally," says Raju Poudel, Relationship Manager, IME Ltd. The boom that the country has seen in remittance-transfer companies has intensified competition among these companies to charge the lowest money-transfer charges, which has ultimately benefited migrant workers. 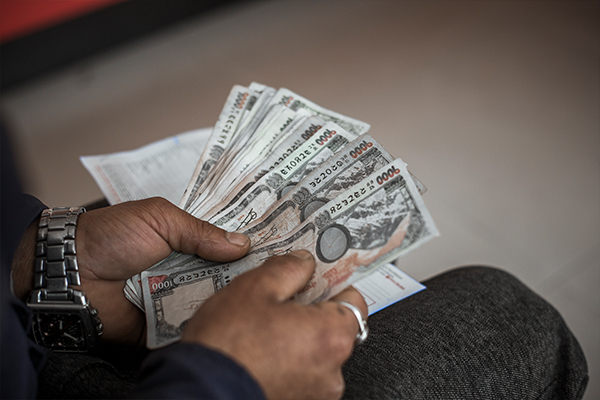 "As recently as 2001, almost 80 per cent of the remittance money that was entering the country came through illegal channels, because there were only a few remittance companies back then," says Poudel. "Today, the tables have turned. More than 80 per cent of remittance money that enters the country enters via legal channels. Now, the remittance companies need to focus on ensuring that 100 per cent of the remittance money entering the country enters via legal channels."